There’s a saying of, “If we could see the world through the eyes of a child, we would see the magic in everything.” The same can be said about a former resident seeing their hometown through tourist sunglasses. Every time I visit family in Buffalo I’m discovering something else about the destination I once called home. With this month’s visit, I finally did something totally touristy that I’ve never done before and that was view Niagara Falls from Maid of the Mist. 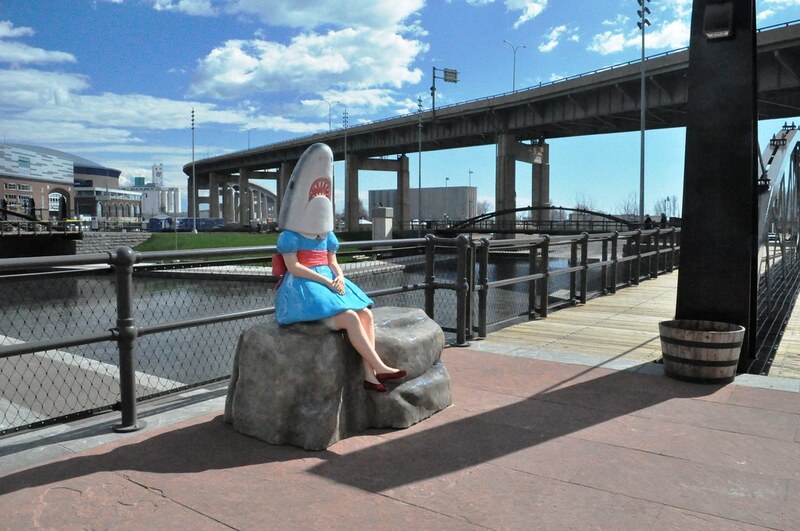 I also visited “Shark Girl,” a statue by artist Casey Riordan Millard, located in Buffalo’s Canalside, and got up close to some of the Queen City’s Silo City. 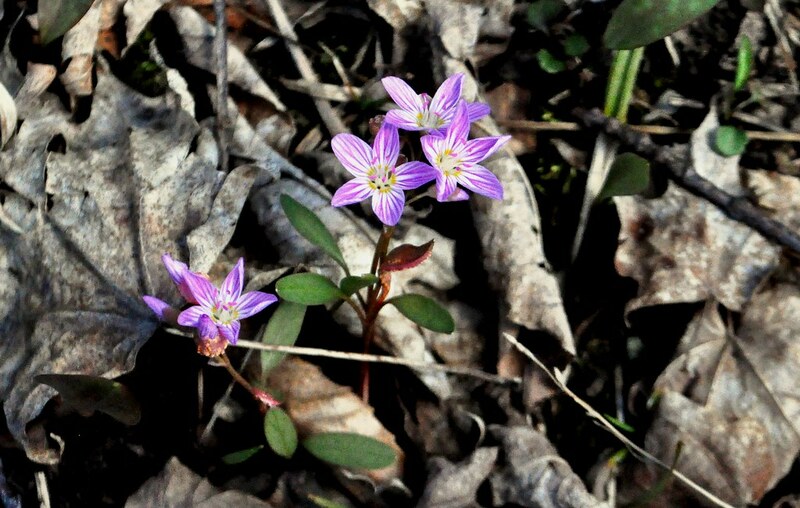 My dad and I walked through their field and into their woods where a few spring flowers added a much needed pop of color in a sea of post-winter brown. 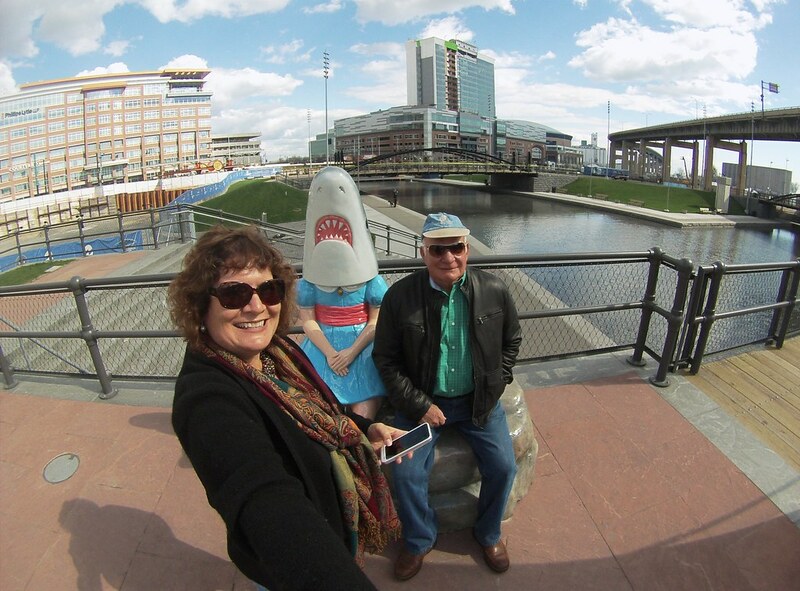 Next, Mom, Dad and I headed to downtown Buffalo in search of “Shark Girl,” a life-size statue of a girl in a Victorian dress and shark head sitting on a rock. Her original home was Cincinnati, Ohio, but was purchased by the Albright-Knox Art Gallery and gifted to the City of Buffalo in 2014. From what I read, “Shark Girl” didn’t weather the Buffalo winter very well and was removed earlier this spring to be polished up. 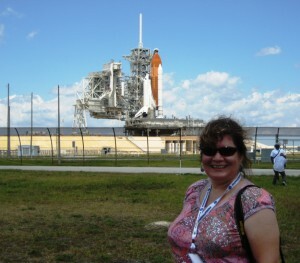 Her return target date was Memorial Day Weekend which is why I was tickled when she returned just before my visit. She was just as magnificent, funny and fantabulous as I thought she would be. Even better, she happily posed for a selfie with my dad and me. Why is she in Buffalo? I really have no idea other than it being a fun, public art project. I’d like to think it’s paying homage to the movie classic Sharknado 2: The Second One in which some scenes were filmed Buffalo but I’m pretty sure the two aren’t related. While in downtown, I found a pile of snow. On May 1. Snow in Buffalo. Granted, it was pretty dirty snow, but it was snow. The mostly black pile was in the Cobblestone Street District, another place I had no idea existed. 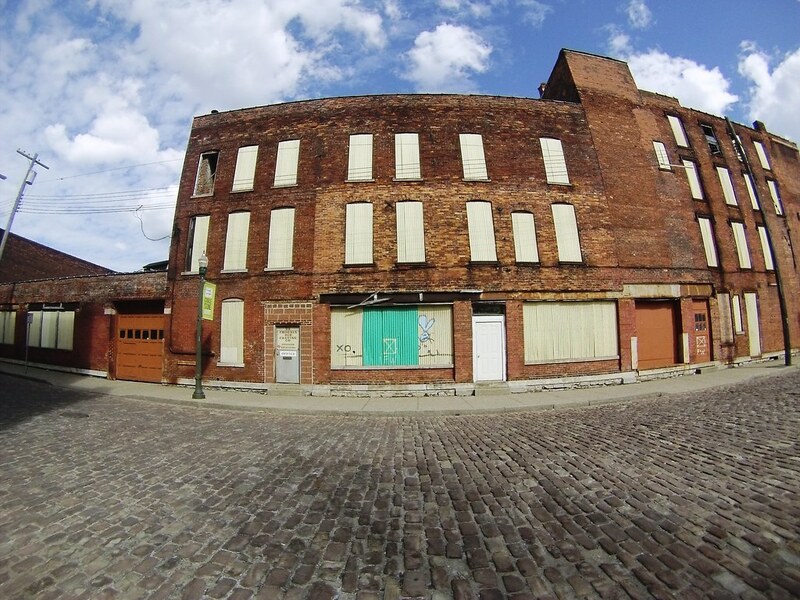 It’s a bit historic and a bit hipster with breweries and office space. Maybe there’s more to it, in addition to a pretty nifty, over-sized mural, but that’s all I had time to see, in addition to the cobblestone street. 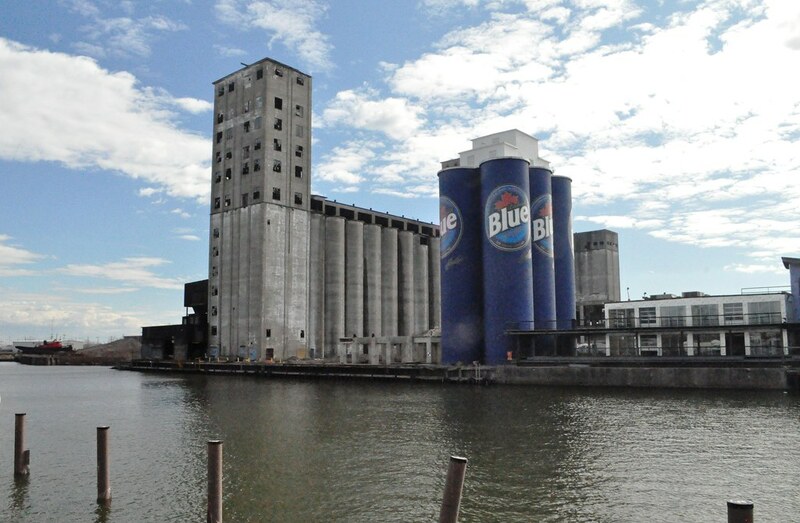 Next up was the Labatt Blue Six Pack on the grain silos along the Buffalo River. Even better, we found a place to park and wandered into what I think was part of Silo City, a collection of Buffalo’s grain elevator silos. We walked over the Ohio Street Vertical Lift Bridge, which was a little scary because there were places where you could look through the walkway and see into the river, to a collection of silos. We peeked our heads into an open window and door of what I think is the Electric Elevator Annex. It was a little creepy and based on plastic shopping bags, a mattress, a propane tank, all sorts of paper and walls adorned with graffiti, it looked as though people had been living there. Another area had wood pallets and what looked like large, plastic bins. 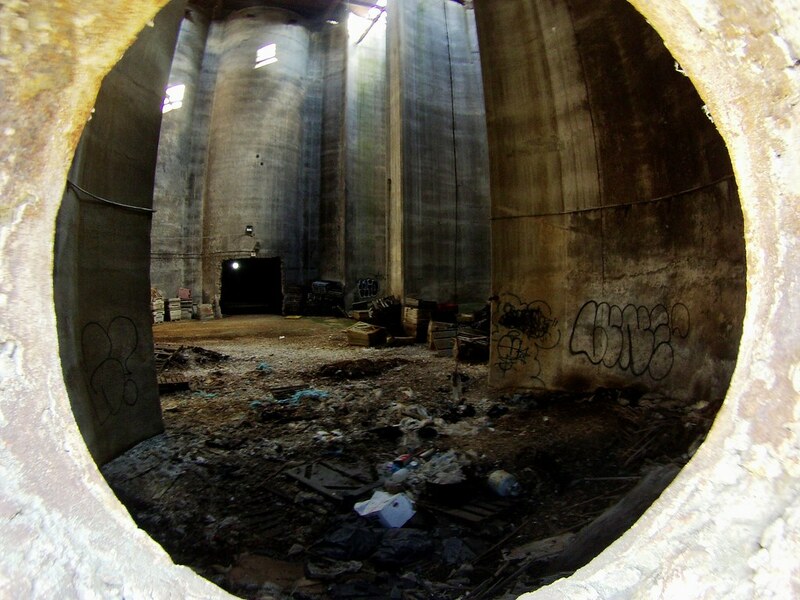 Despite the creepy feeling, the adventurer in me wanted to hop inside and explore but something didn’t feel right. Instead, we headed out for my birthday dinner at Mooney’s Sports Bar & Grill for heap of creamy, spicy and oh-so-good Stuffed Banana Pepper Macaroni and Cheese with a side of wings. Trust me, a side portion of mac and cheese is more than enough. In fact, it’ll probably feed you for the rest of the week. 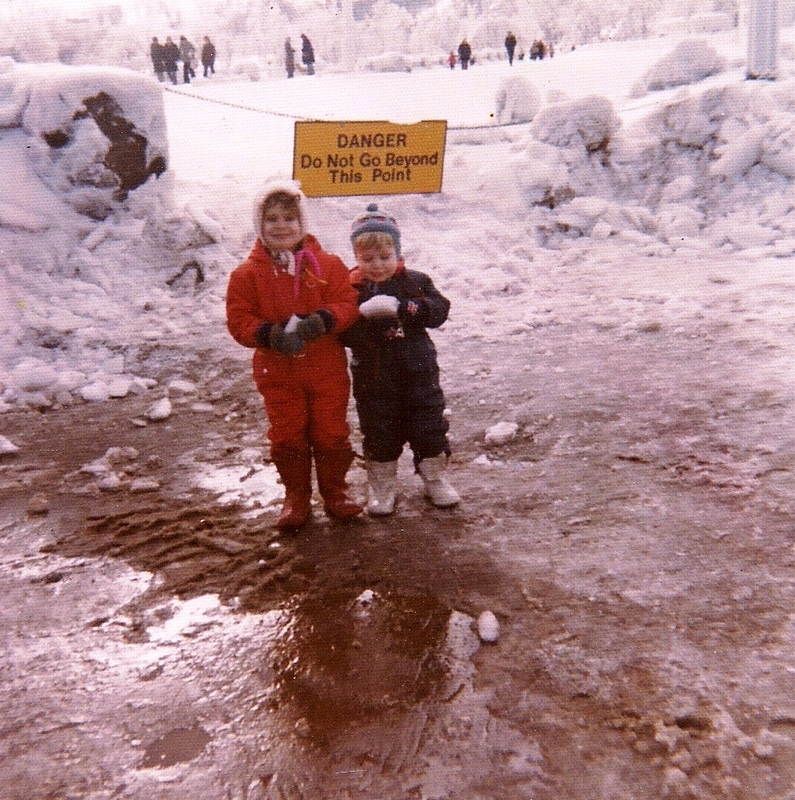 Growing up, our parents took us to the Falls several times including visiting from the prettiest vantage point, which was from the Canadian side. That was when a passport wasn’t needed to cross the Canadian border. We were a family with four children living on a teacher’s salary. Our home was undergoing a second-floor addition and for a period of time, three of us kids slept in one bedroom. Money was used for day-to-day life and education and there wasn’t much spent on luxuries or splurges. Don’t get me wrong, life was good growing up and we were spoiled at Christmas and our birthdays, but we weren’t ones to spend a lot of money on travel, at theme parks or on designer brands. Our parents, specifically our mom, were excellent in finding low cost and free things to do. 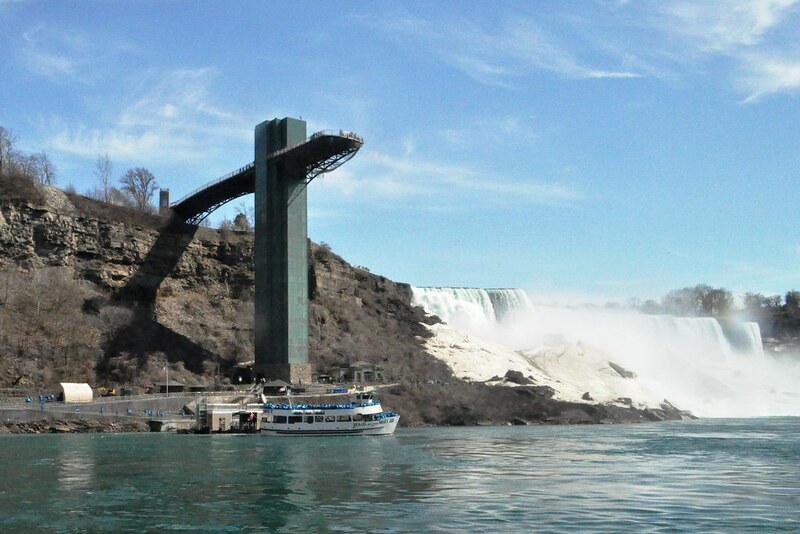 This included viewing Niagara Falls from public vantage points but not hopping on a boat. Plus, as a kid I was a little scared of being on a boat. I feared it would motor under the powerful Falls and plunge into the violent whirlpool. 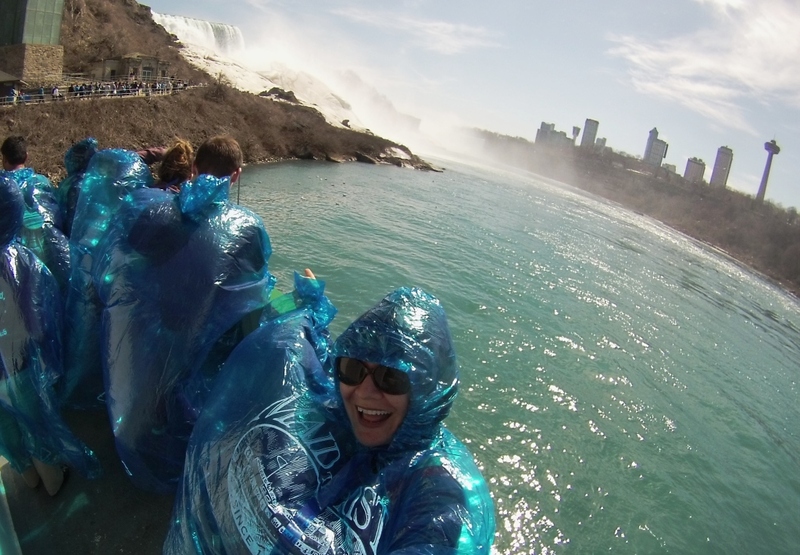 The Maid of the Mist trip was pretty much spontaneous. While listening to the news that Friday evening, I learned it was the first day the tours launched for the 2015 season. After doing a little research including how often tours depart and how long they last, I figured my friend AH and I could do it and make my parents’ surprise party in time. Had it been summer, I’m sure we would not have been able to walk up to the ticket booth and wait a few minutes before boarding a boat like we did. 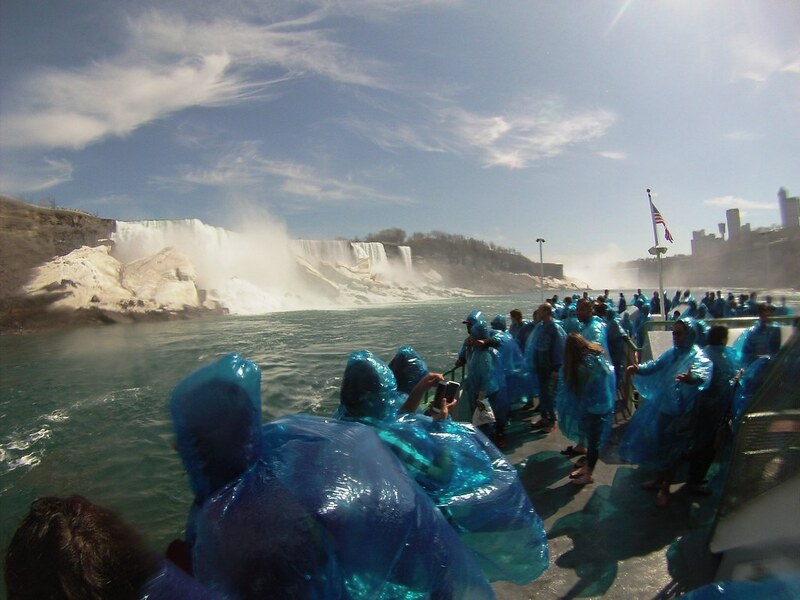 We were given stunning, transparent blue rain ponchos, which I suppose were optional, and kept us mostly dry from the mist of Niagara Falls. We staked our claim on the top of the boat but I imagine anywhere would provide the same view. Of course, being on top meant optimal wetness because as the boat neared the American Falls then Bridal Veil Falls things got a little moist. 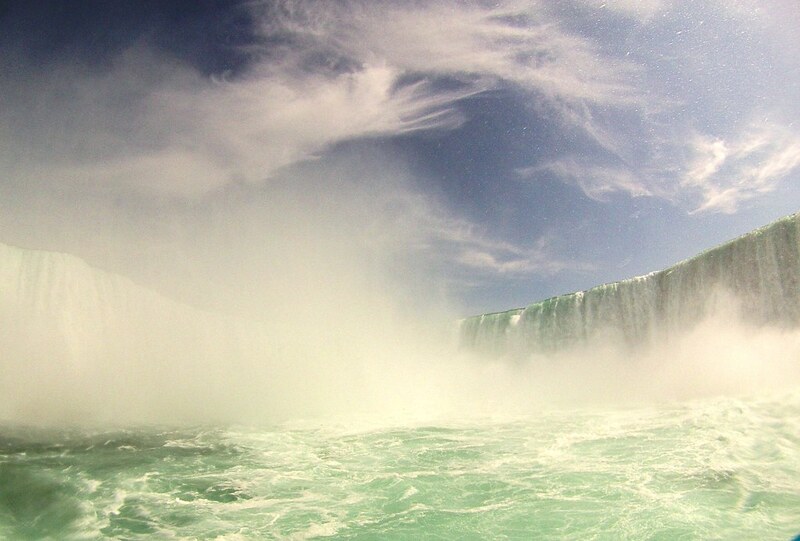 It wasn’t a drenching situation until we reached the Horseshoe Falls, which is on the Canadian side. 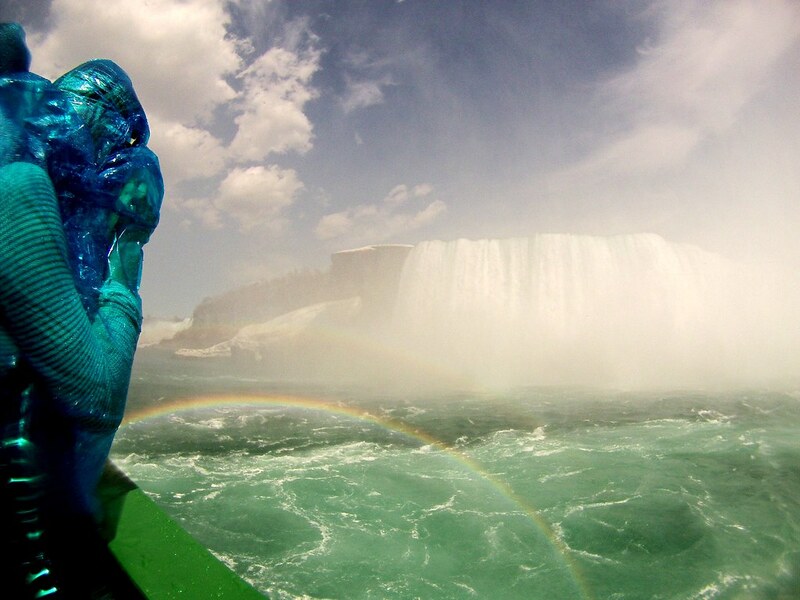 Through water droplets on my sunglasses, I saw the powerful Niagara River’s green water churn with whitecaps and heard and saw the impressive thundering of water rush over the Falls. Feeling the steady mist, my heart raced as I soaked up the powerful force of nature. 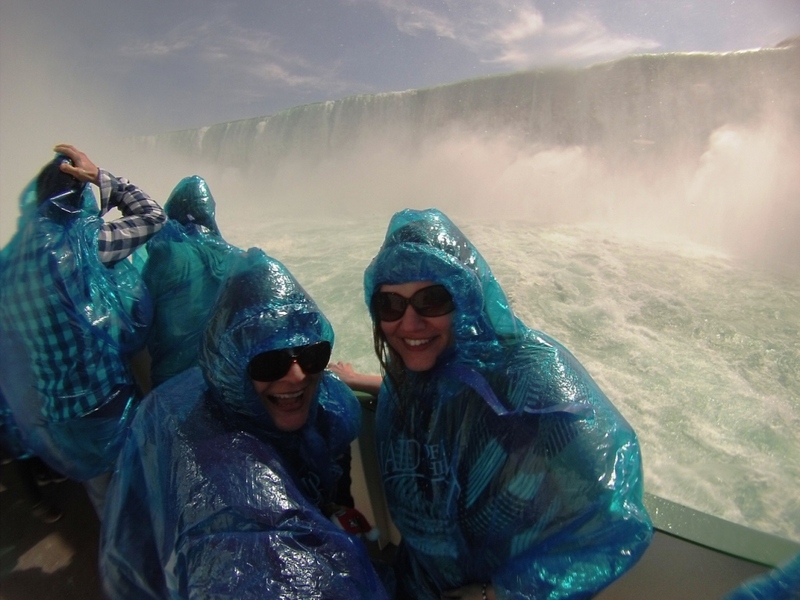 Selfie on Maid of the Mist with Bestie, AH. Bubbling with giddiness, I laughed and screamed because I realized how small I was compared to the 600,000-some gallons per second rushing over the Horseshoe Falls. (Since I’m discussing Canada, that’s 2,271,247 liters per second.). I also laughed at the irony. I’ve traveled around the world and this was the first time being smack dab in the middle of this natural awesomeness and magical treasure. I’m sorry it took so long to hop aboard the Maid of the Mist but glad I finally did it and happy to have shared the experience with my bestie. 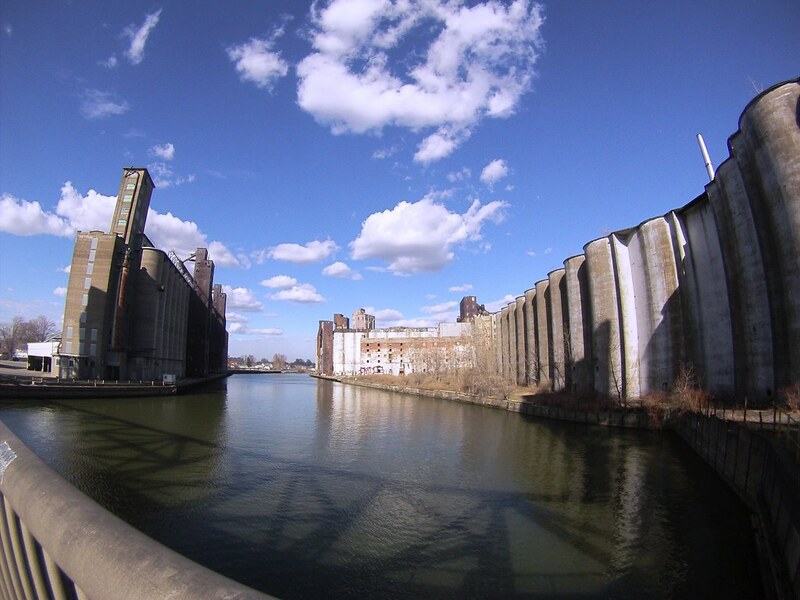 What Buffalo magic will I discover on my next trip? Oh, I have some ideas. I just don’t know when it will happen. View my additional photos of Buffalo and Western New York on Flickr. Tip: Avoid international charges on your smartphone, switch to airplane mode after purchasing your tickets. While waiting for the boat, my carrier, AT&T, messaged me welcoming me abroad and reminding me of international fees. Remember my $700 phone bill while in Vancouver? Looks great. I haven’t been to Niagara since I was 7. My parents definitely didn’t take me around Buffalo back then (and I probably wouldn’t have appreciated it at the time anyway). Sounds like you’re overdue for a visit!